FLIGHTCOM 4DLX CLASSIC - идеальный выбор для тех, кто ищет недорогую гарнитуру с базовым набором функций. Раздельная регулировка громкости наушников, микрофон с шумоподавлением, пенножидкостные подушки для ушей - все это делает FLIGHTCOM 4DLX CLASSIC отличным бюджетным вариантом. Very reasonably priced, and works well enough. But not very durable. After several years of light use, the mike is falling off the boom, and one of the speaker is dead. My other H/Ss, of other brands, moderately more expensive ($200-$300 range), are more durable. Just got it, so I haven`t used it much, but the sound quality is excellent and pleased with the fit of the headband and the dual volume controls are nice. Does a headset bag come with the FlightCom 4DLX? Ответ:No, a bag does not come in the box but you can order one separately by searching for "headset bags" on the Aircraft Spruce website. Does the Flightcom 4DLX Headset come with the cable and plugs? 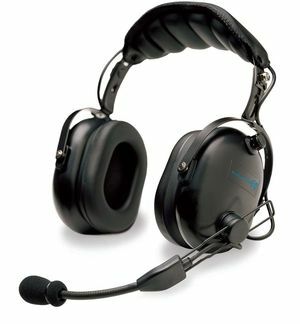 Ответ:Yes, this headset will come with the cable and dual GA plugs for general aviation use.